The St. Mary's Animal Welfare League is a nonprofit, rescue organization that specializes in the rescue, care and placement of abused, neglected and homeless companion animals. SMAWL is bringing back its Annual Pet Fair! This exciting event will be held Saturday, May 19th at the St. Mary’s County Fairgrounds. Please plan to join us for a fun-filled & educational day to celebrate PETS! Stay tuned for exciting announcements regarding Exhibits, Demonstrations, and Vendors. SMAWL is now partners with ResQThreads. 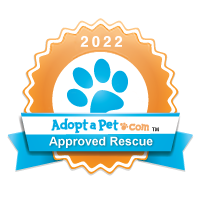 People can visit their site at www.resqthreads.com; at checkout, select SMAWL from the list of rescue partners and SMAWL will receive a percentage of your purchase. Donations are greatly appreciated and can be made online via credit card through PayPal.